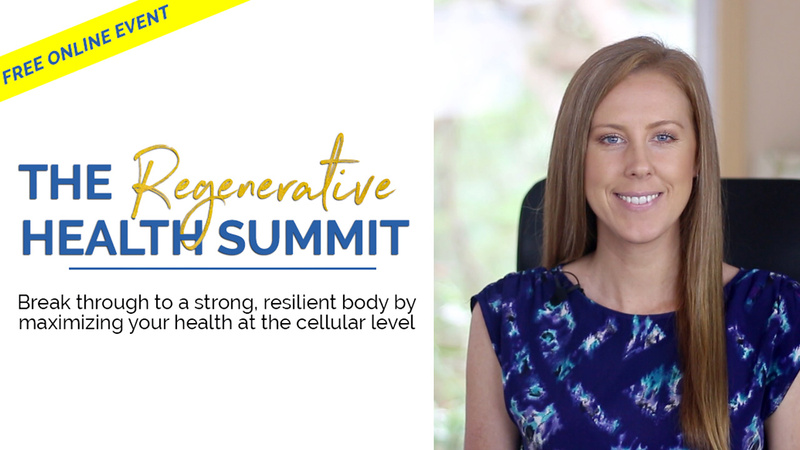 Earlier this year, I was asked to be part of The Regenerative Health Summit. This summit was arranged by Lindsay Seitter, a holistic certified nurse practitioner. She brought together an expert team of health professionals to cover a wide range of topics. I was thrilled to be interviewed about myofunctional therapy because I love sharing information about this amazing field and how it can offer so many health benefits to a wide range of people from infants to senior citizens. Here’s the first part of the recording of the interview along with the transcript. I hope you enjoy it! Lindsay Seitter: Hello and welcome to The Regenerative Health Summit. Break through to a strong resilient body by maximizing your health at the cellular level. I’m your host Lindsay Seitter. Today’s guest speaker is Sarah Hornsby. Sarah graduated with a bachelor’s degree in dental hygiene from Eastern Washington University. She became interested in how the health of the mouth directly relates to the overall health of the body. This led her to open her myofunctional therapy practice, Faceology, in Seattle in 2010. In 2014, she took the entire practice online, becoming the world’s first fully online, paperless myofunctional therapy practice. One of her passions is to create awareness about myofunctional therapy. She runs MyoMentor, an educational institute that trains dentists and dental hygienists to become myofunctional therapists. She has also spoken at industry events and has appeared on a number of podcasts and health-related websites. 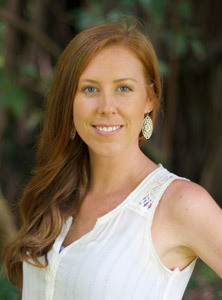 She’s from the Pacific Northwest and currently lives in Hawaii where she consults with patients, doctors, and other healthcare providers from all over the world. Welcome, Sarah. It’s a pleasure to have you with us today. Sarah Hornsby: Hi. I’m happy to be here. Thanks for having me. Lindsay Seitter: So, Sarah, can you tell the audience more about yourself and how you became a myofunctional therapist? Sarah Hornsby: I know you gave me my introduction about being a dental hygienist. That was my training, but I had never learned or heard of this thing called myofunctional therapy. It wasn’t part of my language. I never learned that terminology in school. I honestly had no idea what it was. To make a long story short, I discovered the field a little bit by accident. As I was getting trained, I realized that I had a lot of these myofunctional issues myself. I was horrified, to say the least. We’ll get into more of what these symptoms are. I noticed that I had these things. I felt really frustrated. I was just thinking, “How did I go through all this dental training? How come no dentist I’ve ever worked for has mentioned these things? How come my mom didn’t know about these problems that I had when I was a kid that were from, what I could tell, pretty obvious?” So I started to question a lot of my own training and my background and a lot of the healthcare field in general. I thought, “Well, because I’m a dental hygienist, maybe I didn’t get this education as part of my school because I’m not the doctor. I’m not the dentist. Maybe they get this.” The more I’ve gone down this rabbit hole, the more it’s led me to realize that none of us in healthcare get trained in this field. You don’t have to be – no one would have heard about this unless they’ve had training outside of their traditional medical or dental education. If you’re an ENT, a pediatrician, an oral surgeon, a dentist, any type of doctor or healthcare provider, this isn’t part of your traditional education. Unless you really look for it, it’s not really obvious. That’s what led me to this path. If it wasn’t for me having the symptoms myself, I probably would have been a lot more skeptical in thinking, “This can’t be a real field.” That’s how I got started. That’s my story, I guess. Lindsay Seitter: That’s great. Yeah, not many people have heard of myofunctional therapists. I am not super familiar with them either. So, can you tell us what myofunctional therapists do? Sarah Hornsby: It’s actually pretty simple. The things that we teach are things that we should all do naturally. We shouldn’t need a therapist for these things. Basically, we have four goals. We teach people how to breathe through the nose, how to rest with your lips together, so you’ve got a good lip seal all day and all night. This nasal breathing needs to be done all day and all night too. The third goal is, at rest, your tongue needs to be filling up the entire roof of your mouth from the tip to the very back. Your tongue should not be in the bottom of your mouth. Our fourth goal is that you swallow properly. Those are really the four goals. Like I said, those are simple things. It’s not necessarily easy to change these things if you have myofunctional issues yourself. Basically, I teach people exercises on how to do those four goals, or how to accomplish those four goals. The exercises center mostly around the tongue. Something that you’ll hear terminology-wise is a tongue thrust or a tongue-tie. If you have one of those things, then you can benefit from myofunctional therapy. You can kind of think of it like physical therapy but for the mouth. It doesn’t sound like these things are a big deal. Who cares if you breathe through your mouth or breathe through your nose? The impact of breathing through your mouth and swallowing incorrectly and resting your tongue the wrong way have a major influence on our craniofacial development. Basically, if we’re children with these problems and we grow into an adult without fixing these things, it affects our health in so many ways that I’m sure we’ll get into more. Lindsay Seitter: I’m sure that most people aren’t conscious of where their tongue lies in their mouth and how they’re breathing. It’s just something we do subconsciously. I’m curious to see, as we hear more about this, some of the more important things that it has. So, who is your typical patient and what kinds of problems do people come to you for? Sarah Hornsby: It’s hard to become aware of these things. You can, like you said, you can start to think about what’s going on with yourself. You can do a self-test. You can think, “First of all, how am I breathing? Am I breathing through my nose during the day?” That one’s easier to observe. “Am I breathing through my mouth during the day? When I sleep at night, am I breathing through my mouth?” So you can start to check in with yourself and try to gain some awareness over that. You can think about your tongue. You can try to envision this, “Is the tip of my tongue between my upper and lower front teeth? Is it below my lower teeth? Is my tongue making contact with the roof of my mouth?” You can start to ask yourself those questions and check in. That’s really the first step, I would say. These are what I ask people every day. The typical problems that people would come for are usually bigger problems. Like I said, having these issues when you’re a kid and then growing into an adult, leads to bigger issues. Most of the adults that I see are either in chronic pain. They have chronic TMJ problems, chronic headaches, really bad head, neck, and shoulder pain. They have sleep apnea or they snore, or they have breathing issues related to, usually, sleep apnea and snoring. Those are the big ones. Then, there are also dental problems that people would have. 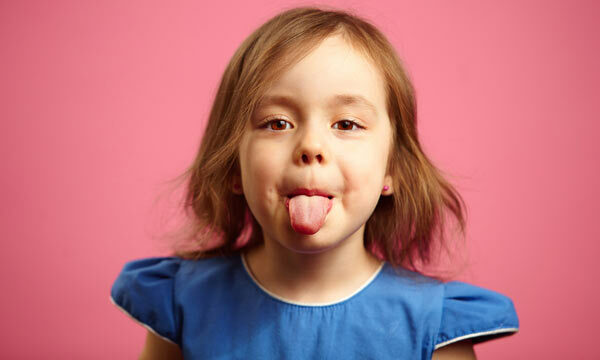 So, if you were a kid breathing through your mouth and you’ve got a tongue-thrust swallowing pattern, which is connected to mouth breathing, these habits that you have—they’re basically oral, learned habits. These will lead to problems with braces. You can easily put braces on your teeth. Any orthodontist can do that for you. 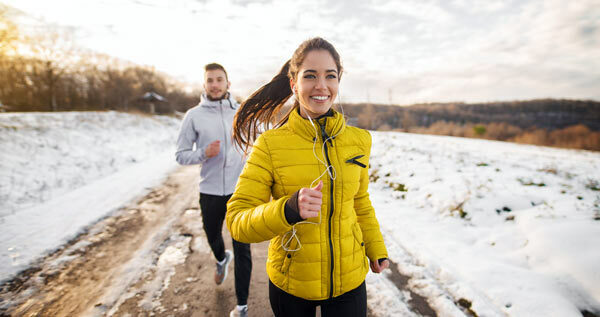 If you don’t address the underlying muscle issues and swallowing issues and breathing issues, you’re very likely to end up as an adult with orthodontic relapse. That basically just means your teeth have shifted, and what you used to have as a beautiful, straight smile is no longer there. This is very common. Obviously, it’s not as major of an issue as the TMJ issues and headaches and sleep apnea, but it’s all connected. The movement of the teeth is often what triggers these TMJ problems and the headaches. It’s basically just like a cascade of problems that all starts when you’re a kid and you can’t breathe well through your nose. Also, I would say that dental problems can include people who mouth breathe are more likely to have tooth decay and gum disease and other issues with clenching and grinding of their teeth. Those, I would say, are the big, overarching problems. All the people with these problems also have orofacial, myofunctional disorders. So, that’s mouth breathing, tongue thrusts, tongue-ties, and that low-resting tongue. Hopefully that makes sense, but it’s all connected. Lindsay Seitter: So, that’s interesting. How is an increase in dental cavities associated with mouth breathing? Sarah Hornsby: That’s a really good question. So, just like we have a gut microbiome – I’m sure you’ve interviewed people and heard all about that. We’ve got a microbiome in our mouth. The natural flora of bacteria that we should have in our mouth in a closed environment when we’re breathing through our noses, it changes. When we start to breathe through our mouth, that bacteria, it changes, and the good ones get taken over by the bad ones. That leads to the tooth decay and gum disease. It’s just basically the bacteria changes, and the levels change. Lindsay Seitter: Okay. Yeah. That’s really interesting. Sarah Hornsby: Well, because I teach courses on this stuff, I always tell the students that I teach, who are other dental hygienists and dentists, I tell them, “Don’t start with your first patients online because it can actually be pretty challenging.” I think, if it wasn’t for my where I practiced seeing people in person, I probably wouldn’t have such an easy time doing it today. Online, I think that the biggest thing is you’ve got to have a good internet connection. So, if you’ve got a good internet connection, a big screen on your computer – I’ve got a really big screen and a webcam. I’ve got everything set up so I can see people really well. It works really well. I work with people from around the world and all over the country. I think, with how busy modern lives are, I think people find it really, really convenient. You can meet with me in your own home. I think that helps people make appointments. It helps them feel comfortable. If you don’t have to sit in traffic – to me, it’s changed my practice dramatically. I can’t even believe how much my practice has grown and gone crazy since I closed down my physical office in Seattle and took everything online. It’s actually been a pretty cool experience. I do free assessments. That way, people can get an experience to see what it’s like. Before they just sign up to work with me, they can ask me questions. They can meet with me online, and they can get a glimpse into what it might look like to work with an online myofunctional therapist. If I do end up starting therapy with people, they get a kit in the mail with all the supplies that they’ll need to do the therapy. It works out pretty well and, actually, I think it’s kind of fun that way. Lindsay Seitter: That’s awesome. So, how do oromyofunctional issues affect whole body health? Sarah Hornsby: We’ve kind of talked about some of that. I would say that the mouth breathing is the crux of everything. Like I said before, if you’re a child who’s breathing through your mouth, and your tongue is in the wrong place, and you’re swallowing the wrong way, as you grow into an adult with these problems, your face shape changes. Your palate basically gets narrower. The mandible grows more vertically instead of broader and more forward and horizontally angled. All of these TMJ issues and sleep apnea issues and breathing problems, they’re all connected. There’s something else called a tongue-tie I haven’t really mentioned yet. For people who are tongue-tied, really it has the same problems associated with mouth breathing. If your tongue is in the wrong place, it stems from one of two things. You either are a kid who had large tonsils and adenoids, had lots of allergies and couldn’t breathe well through your nose, so you learned to breathe through your mouth. Your tongue, then, dropped down into the bottom. Or, you were born with something called a tongue-tie, which I’ll talk more about later. A tongue-tie is a physical problem with the tongue that doesn’t allow you to actually rest it properly in the roof of your mouth. That, then, leads to an open-mouth posture or mouth breathing as a child grows into an adult. Those mouth problems definitely connect to the whole-body health picture. It just doesn’t seem like it in the beginning. Most parents, mine included, didn’t even really notice that I was a kid breathing through my mouth. Luckily, I’m young enough now, and I discovered these symptoms that I had early enough that I don’t have any major issues like TMJ pain, chronic head/neck issues or sleep apnea. I don’t have those things yet. If I didn’t know about this field, and if I didn’t discover these things, and I just keep aging and going through life, I would bet I would definitely be on the path towards that if I didn’t have those things already happening now. It’s just cumulative over time, small little symptoms that build and build over a lifetime. Then that’s, I guess, the definition of chronic disease. You don’t just wake up one day, and you have it. You know? Lindsay Seitter: Yeah. That’s really interesting. I know you’ll get into this probably more in this next question about the benefits of nasal breathing versus mouth breathing. Those with mouth breathing, how does that affect healing and initiate some of these chronic diseases that we see such as heart disease? Is there any relation with that or diabetes or any of these other chronic conditions that we see? Sarah Hornsby: Yeah, for sure. I would say that they’re definitely connected. First, I can get into the benefits of nasal breathing. What you’re talking about is actually pretty cool. Nitric oxide is triggered when we breathe through our nose. This nitric oxide molecule gets released into our body each time we take a breath through our nose. If we breathe through our mouth, we are bypassing that whole system. Nitric oxide is a very important signaling molecule for our cardiovascular system and our overall health. It definitely connects to, like you said, heart disease and tons of other things in the body. So, if you have low nitric oxide levels, you’re definitely going to have bigger health problems. They can associate nitric oxide with high blood pressure, heart attack, stroke, digestive issues like IBS and even things like dementia, which sounds kinda crazy. The more we breathe through our nose, the more that gets released into our body, the healthier we are. Nasal nitric oxide is pretty cool. It’s made in our nose by an enzyme. It’s made in our nose and our sinuses actually. So, if you don’t breathe through your nose, you don’t get that. That can definitely contribute to bigger issues down the road. Hopefully that answered your questions. Lindsay Seitter: – foods that increase nitric oxide. It’s talked about a lot with cardiovascular health and blood pressure and even things like erectile dysfunction and that nitric oxide is so important for that. Lindsay Seitter: To think about simply nasal breathing to increase that is just amazing. Sarah Hornsby: Yeah. I know. I didn’t know all these things. Like I said in the beginning of all this, I never heard about nasal breathing versus mouth breathing as any part of my dental training. None of us really do. It’s huge, though. It’s really, really, big. I had an ENT tell me, “Mouth breathing’s not a medical issue. That’s not a big deal. Just don’t worry about it.” I was just like, “Oh, my gosh.” That is such bad information to give to patients and parents who come in asking, “My kids are breathing through their mouth. It just doesn’t seem right to me.” I think, intuitively, parents look at their kids’ mouth breathing and they just think, “Gosh. That doesn’t seem good.” They don’t necessarily know why, but they start googling. That’s usually how they find me. Lindsay Seitter: So, can you walk us through what nasal breathing looks like? I know it sounds so simple, but is there a certain length of time we should be focusing on breathing in and holding it and then exhaling? What does nasal breathing look like, doing it correctly? Sarah Hornsby: In an ideal world, you’re not tongue-tied. You should be breathing through your nose all day and all night when you’re not eating and when you’re not speaking. That means your lips should be together. Your tongue should be filling the roof of your mouth. Ideally, you’re breathing through your diaphragm. You’re not doing shallow breaths. You’re taking steady breaths. In the beginning, just teaching people to use their nose can be a challenge in itself. In the beginning, if you’re not used to nasal breathing, us doing it for a minute or two is going to feel challenging. It kind of depends on where you’re at in this process. If you realize, “Oh, my gosh. I never breathe through my nose.” It’s going to be hard in the beginning. I would say it takes a good few weeks of consistent practice timing yourself. Start with five minutes, then ten minutes, then 15/20 minutes. Work up more and more. The nasal passageways, when they’re not used, they actually shrink. You might not have a physical obstruction like enlarged turbinates or large tonsils and adenoids or actual nasal congestion. You can just have restriction and, to some degree, inflammation of the nasal passageways. When you start breathing through your nose, all of these things are – they’re not used to it. It takes some time. I would say for more advanced nasal breathers, the right number of breaths per minute is probably somewhere around eight to twelve, I think. If you’re familiar with Buteyko Breathing, they think it should be even fewer than that. I think, in modern society, most people breathe 20 breaths per minute. That’s just too fast, too shallow. We actually can’t utilize our oxygen as well if we breathe shallow and fast and through our mouth. Our bodies just can’t absorb it because we don’t get enough CO2 build up. It’s kind of complicated stuff. As we breathe, the CO2, I believe it’s on an exhale, is actually what allows us to utilize the oxygen molecules. So, during respiration, if we aren’t getting enough CO2 accumulating in the blood stream, we can’t even use the oxygen that’s there. According to Buteyko Breathing, if you look more into this, when you mouth breathe, you’re actually in a state of hyperventilation. It’s definitely interesting. I would say there’s a lot more I could cover, but that’s a good little sample. Lindsay Seitter: That’s great. Now, when someone corrects their breathing and they start doing more nasal breathing, how quickly do you start to see results? I know it’s going to vary from person to person. What types of symptoms do you start to see being resolved as a result of this? Sarah Hornsby: Well, nasal breathing is good in itself of course. If people struggle with allergies, or a lot of kids get sick all the time, one of the first things people notice is that – and this includes me. I used to have allergy issues and I used to get sick once or twice a year. I thought, “Oh. That’s not that big of a deal.” But, since I’ve been consistently breathing through my nose all day and all night – I know I’m breathing through my nose all night because I actually tape my mouth at night, which is a whole new topic of discussion that it’s all around the internet right now is mouth taping. Since I’ve been doing that, I have not actually been sick in over two years. It’s kinda crazy. I think, “Jeez. Has it really been that long?” Probably two and half, maybe even three, years I haven’t had a cold. I haven’t dealt with any allergy symptoms. Our nose is really important. It cleans the air. It filters the air. It adds moisture to the air, and it makes it healthy as we breathe it in. Of course, there’s other components like the nitric oxide and the oxygen and all that. Yeah. I would say that’s one of the first things people start to feel. It’s not just about breathing through the nose. That’s a huge component. It’s also about getting your tongue up in the correct position in the roof of your mouth. The tongue posture is something that I think gets overlooked a lot. We can talk more about that as well. Nasal breathing is pretty much my number one goal for all of my patients. Lindsay Seitter: Okay. That’s awesome. Before we get into talking more about the tongue-tie, can you talk a little bit more about the mouth taping, how that works? Sarah Hornsby: Oh, sure. Yeah. I can explain that. It sounds kind of crazy. A lot of parents, I think, the first time they hear it, they’re like, “What? I should tape my mouth or my child’s mouth at night?” It sounds like a scary thing. I recommend doing mouth taping as part of a myofunctional therapy program with a therapist like me. But that doesn’t mean that people can’t try it on their own. I have lots of parents who they’ve read about this or watched videos online. Basically, all you do is you take the 3M Micropore tape, or there’s actually several products out there now. You just take a little strip of tape. It should be tape that’s meant for skin, meant to go on your body, not like Scotch tape or duct tape, nothing like that. You can start with a tiny piece and place it more vertically over the lips, so that there’s still space. If you needed to breathe, on the left and right of the tape, you could actually breathe through your mouth if you really needed to. Or depending on your comfort level, you could just put the whole piece of tape across, and you go to sleep that way. Now, for some people this feels really uncomfortable. For me, in the beginning it was. I didn’t like the feeling of it. I felt like it messed with my sleep. It was a hard thing to adapt to. I would say it probably took a week, or maybe two weeks, before I was really comfortable doing that. If you can make it through the part in the beginning, usually people who tape their mouth, they report much better sleep, less tossing and turning. And you wake up feeling well-rested in the morning because you’ve been getting that nitric oxide all night and you’ve been getting oxygen utilization to your full potential all night while you’re breathing through your nose. If you breathe through your mouth all night, you’re very likely to snore, wake up with a headache. There’s a lot of problems that come from that. Mouth breathing at night is a precursor or red-flag warning-type symptom for sleep apnea. That’s well documented in research. If you’re a mouth breather at night, you’re more likely to develop sleep apnea. Lindsay Seitter: That’s awesome. I’m definitely gonna try that. Is there any particular type of tape that you use that’s best for it? Sarah Hornsby: Yeah. So, the one that I use is called Snoreless Strips. I find them on Amazon. They’re just premade strips of tape. It’s so interesting if you start to dive into this stuff. Most people have never heard of anything like this. If you start Googling it, you’ll be amazed at the products out there. There’s even a – they call it an oral adhesive. It’s basically a lip glue. If you have a beard or a moustache, it’s not always easy to put tape on, so there’s even companies that have come up with this lip gel that you can use to more glue your lips together instead of tape them together. It’s fascinating. There’s a bunch of stuff out there. Unless you know what you’re looking for, you would never hear of it. Part two of this interview can be found here.